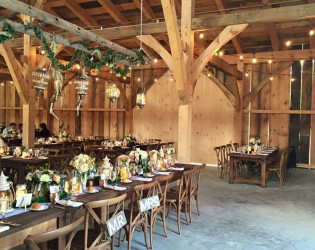 A romantic, enchanting, rustic chic wedding barn nestled on a picturesque 77 acres in the Lord Howe Valley. 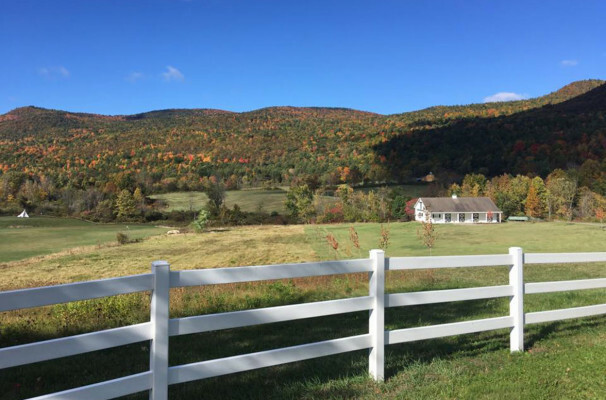 Upon entering the property you will be entranced by the views of the valley and surrounding mountains. 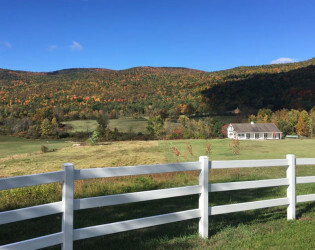 As you make your way to the main barn set privately a half a mile back in the valley you will cross over the Trout Brook as it weaves its way through the valley. 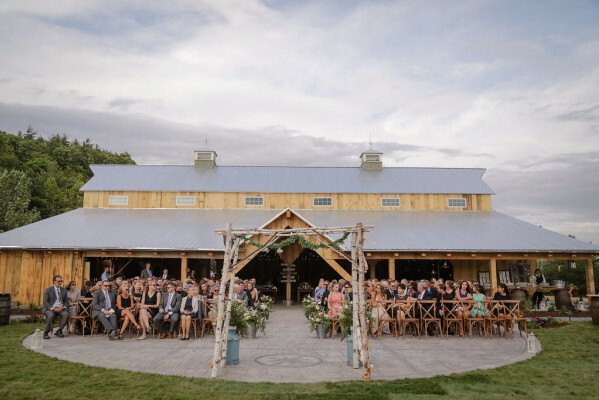 Romantic, enchanting, rustic chic wedding barn nestled on a picturesque 77 acres in the Lord Howe Valley at the Northern end of Lake George in Ticonderoga NY. 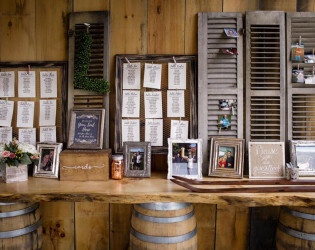 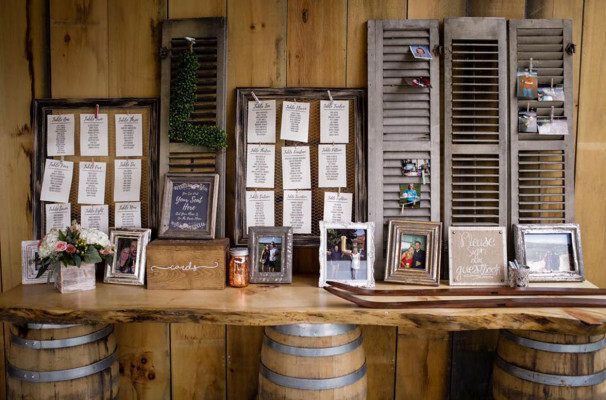 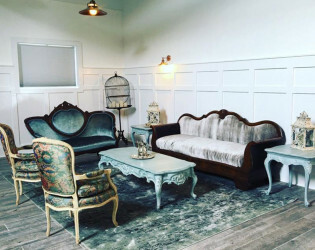 A converted horse barn has been transformed into two bridal suites that you can use as a dressing area or simply as an area to relax with your bridal party prior to your ceremony and reception. 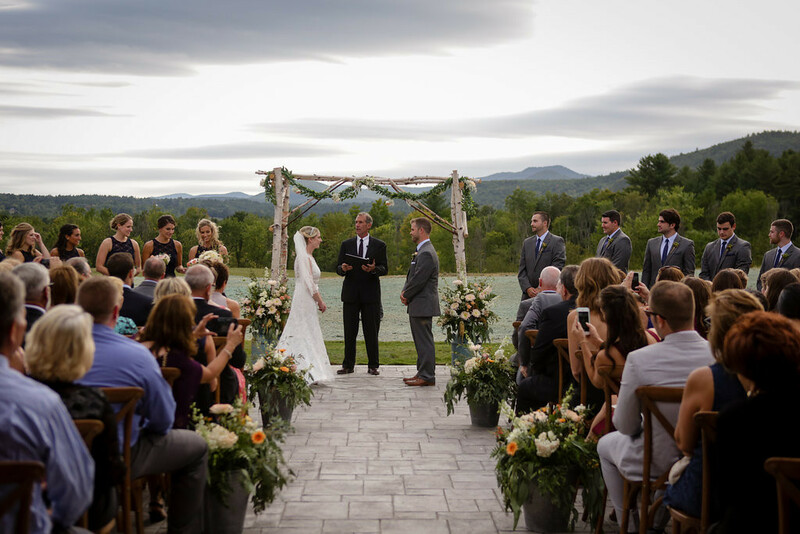 Our venue is located in the beautiful Adirondack Park in upstate New York. 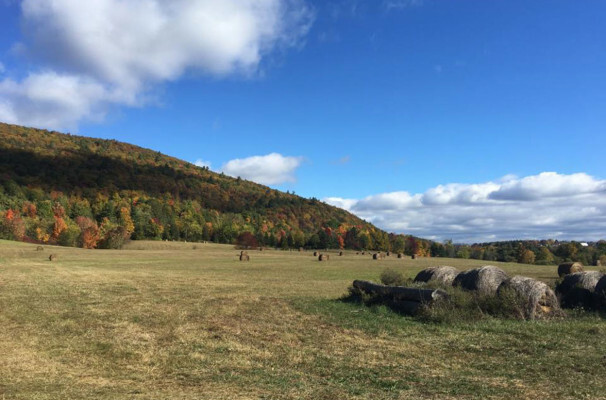 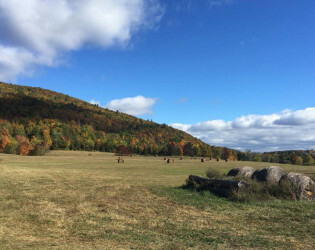 It is nestled between Lake George and Lake Champlain on a picturesque 77 acres in The Lord Howe Valley within the historical town of Ticonderoga NY. Upon entering the property you will be entranced by the views of the valley and surrounding mountains. 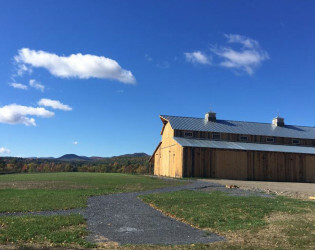 As you make your way to the main barn set privately a half a mile back in the valley you will cross over the Trout Brook as it weaves its way through the valley. 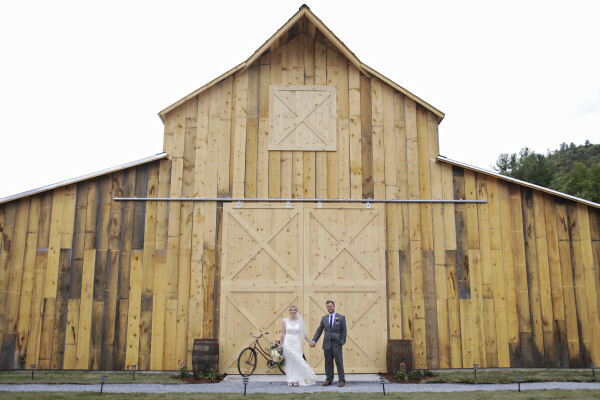 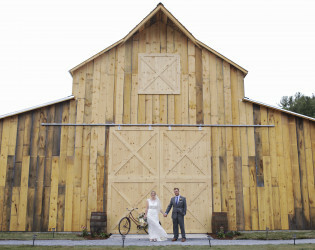 Our converted horse barn has been transformed into two bridal suites for your use on your wedding day. 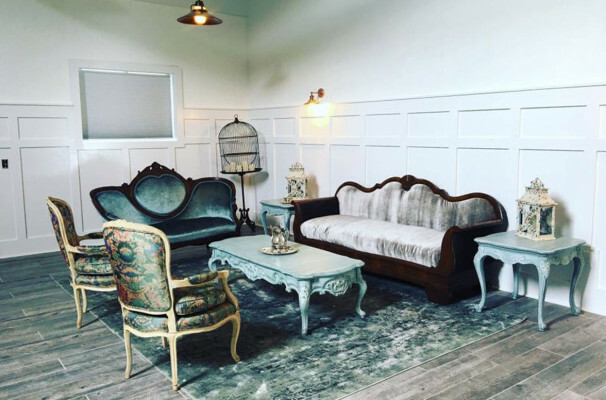 One suite has a clean and crisp feel with all white walls and victorian flair. 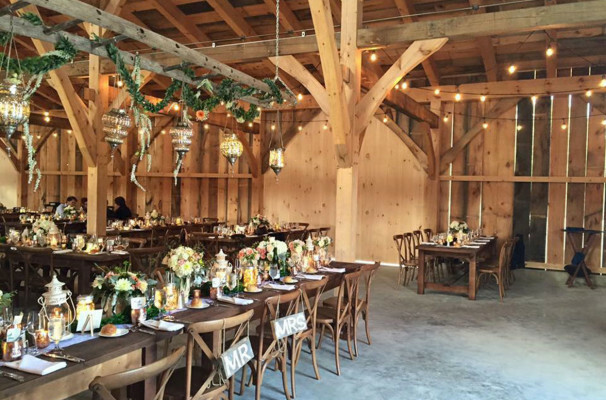 While the other suite has more of a rustic/ industrial lounge feel set within the old horse stalls within the barn. 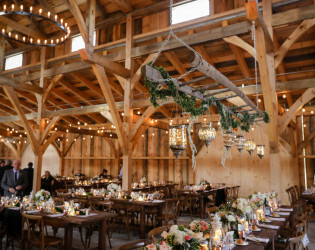 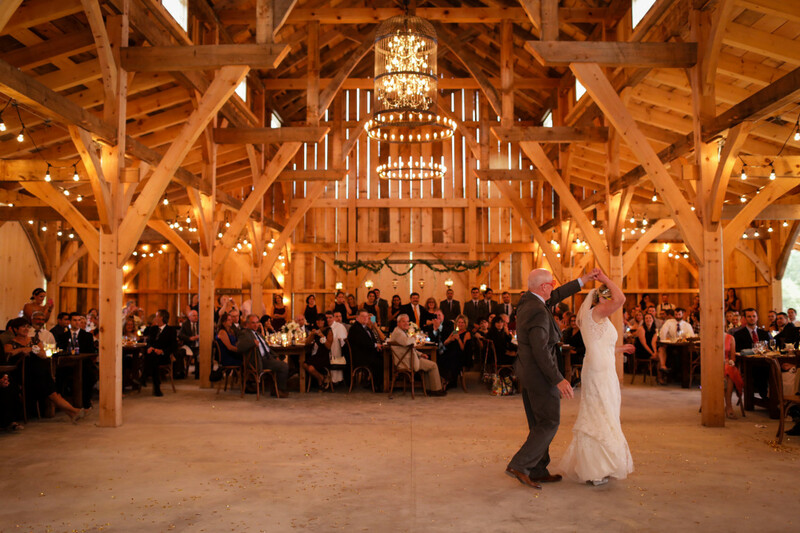 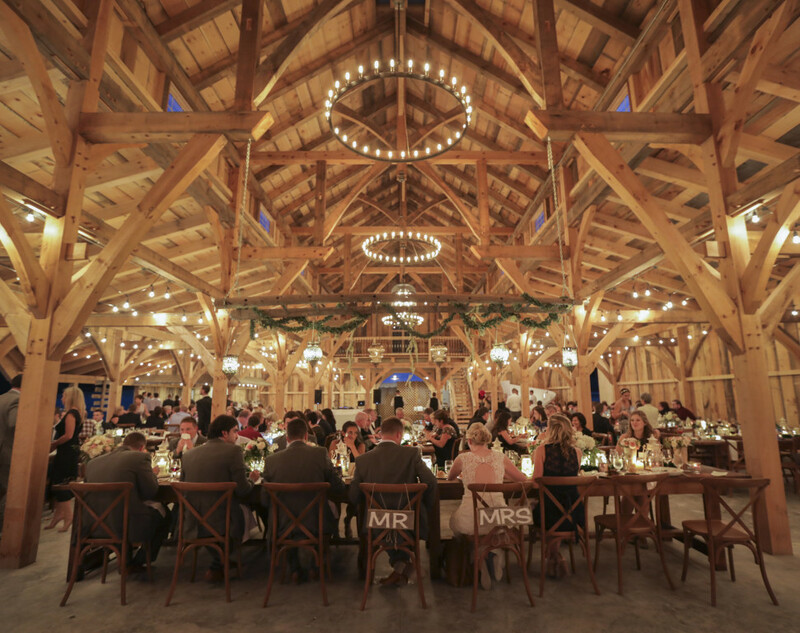 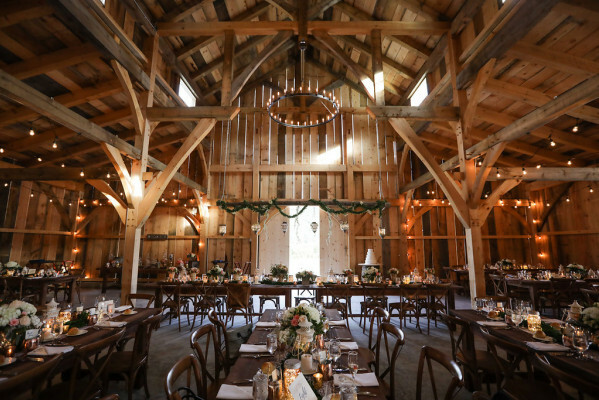 Our main barn is a custom designed post and beam barn with gorgeous chandeliers and beautiful arches that give the barn its unique and beautiful character. 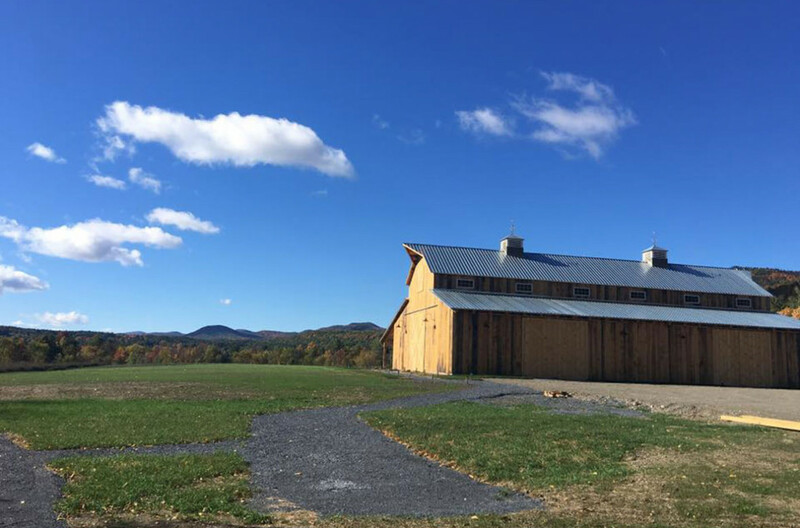 You are able to experience an open air feel as each side of the barn has multiple large sliding doors that open up to the view of the valley and surround mountains. 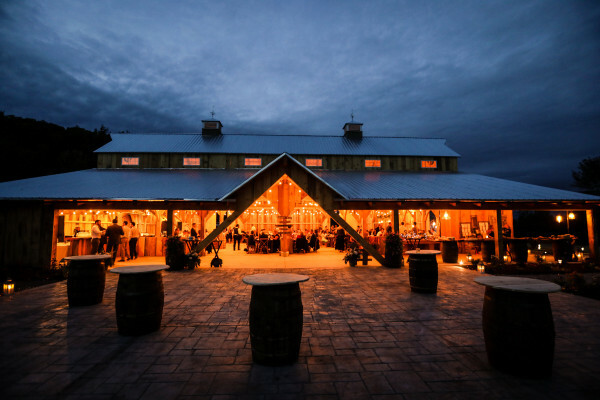 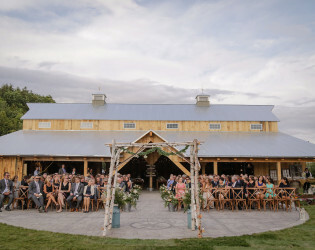 Romantic, enchanting, rustic- chic wedding barn nestled on a picturesque 77 acres in the Lord Howe Valley at the Northern end of Lake George in Ticonderoga NY. Outdoor ceremony with beautiful views. 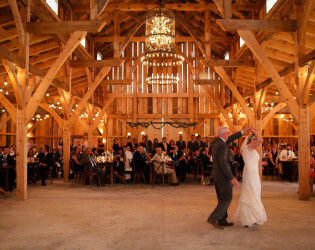 Beautiful property for wedding photos. 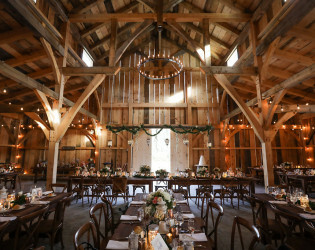 You are able to experience an open air feel as each side of the barn has multiple large sliding doors that open up to the view of the valley and surround mountains. 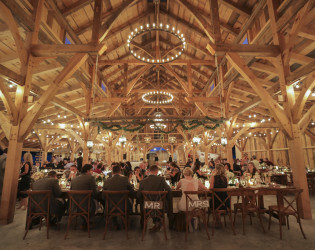 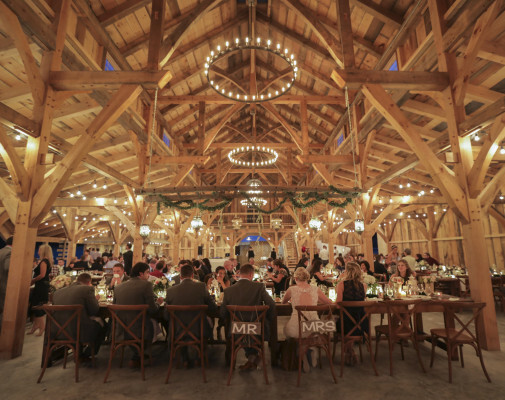 Our main barn is a custom designed post and beam barn with gorgeous chandeliers and beautiful arches that give the barn its unique and beautiful character. 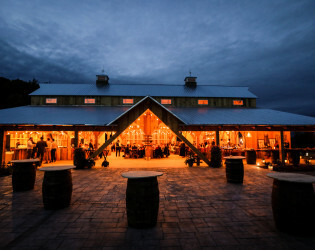 Set up your cocktail area in front of the barn. 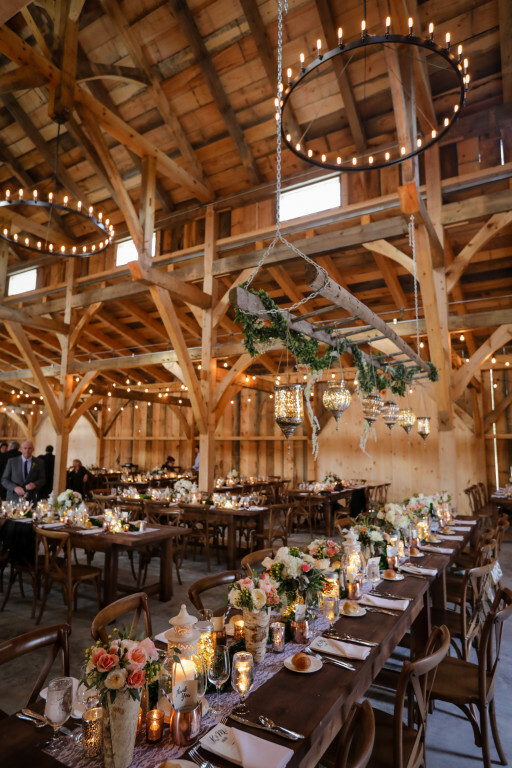 Elegant barn reception with hanging flowers and string lights. Take in the beautiful view! 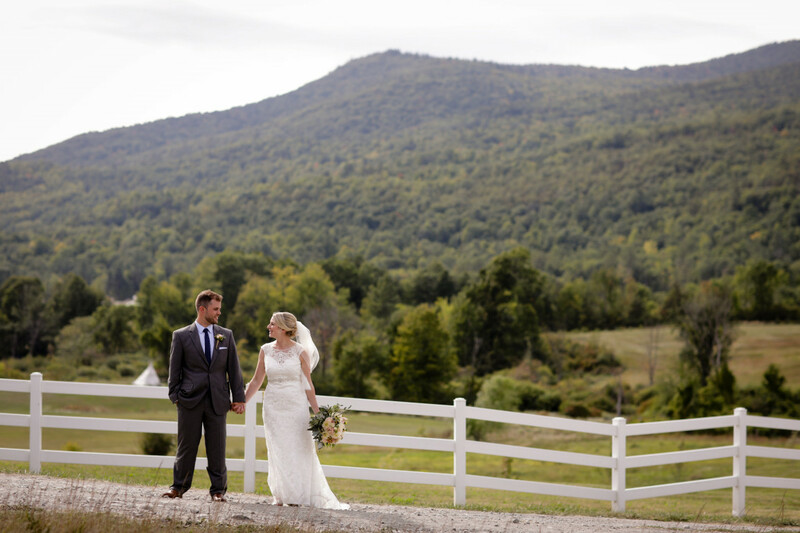 Upon entering the property you will be entranced by the views of the valley and surrounding mountains.